Summer is raging, but winter is just around the corner. Now is the time to check the health of your home’s heating system. That means calling in a heating contractor—and knowing the right questions to ask them before they start working on your heating unit. If you’re staring down a frigid Wisconsin winter, you’ll want those questions answered before the frost arrives. Wisconsin Rapids residents can rest easy knowing that whatever questions they have, the HVAC experts at Guelzow Heating & Air have the right answers. But what are the right questions? Every case is different, but if you start with these five, you’ll be one step ahead of the winter frost. Repairing or installing a new heating system will be expensive, so you should save money where you can. Any contractor that wants your business will offer a free estimate—and this will be your first chance to judge their work and their ethics. 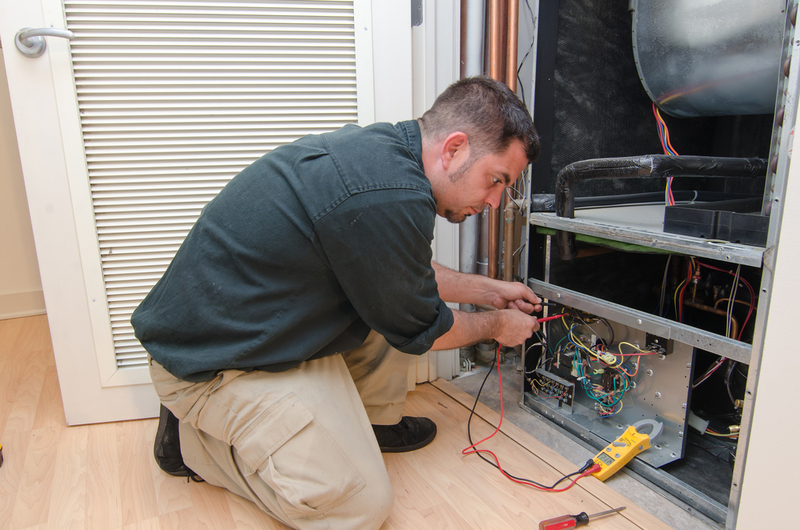 HVAC work is often regulated at local, state, and federal levels. Make sure your contractor is licensed. Functional heating in cold weather isn’t just a matter of comfort for you and your family; it’s a matter of health too. Don’t leave that in the hands of an unlicensed (therefore unaccountable) contractor. There should be a manufacturer’s warranty on the parts and equipment your contractor is installing. Make sure your contractor guarantees their own work too. If they don’t, they shouldn’t be anywhere near your system. And if they do, you’ll still want to get that guarantee in writing. Whose Equipment Are They Installing? Your contractor probably has a preferred manufacturer. Do some research and find out if that manufacturer makes a quality product. If you don’t like what you find, ask that contractor for alternatives. If they offer none, find a heating contractor who will. There’s always a chance your new or repaired heating system will break down. If problems arise, you’ll want to know that your contractor is around to help. Find one that offers 24/7 emergency service. It’s a comfort to know you won’t have to spend a night in the cold, but that 24/7 option also acts as an unofficial service guarantee. Don’t let winter sneak up on you. Call Guelzow Heating & Air at (715) 423-1086 to schedule a free estimate from a heating contractor today. Or check their website to see their full line of services from AC repair to duct cleaning and furnace installation.